If you have a business or personal legal dispute, you will want a Lowell civil litigation attorney on your side to represent your interests and ensure that you are protected. An experienced attorney beside you can offer peace of mind as you deal with opposing parties and provide confidence when faced with complex legal matters. Keep in mind that this is just a sample of business disputes where we can assist you. To learn more about how we can help your matter, please contact us. 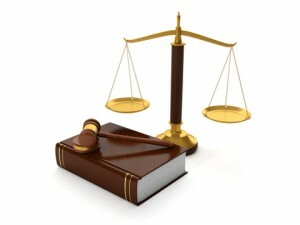 Litigation is difficult, stressful, and time-consuming. A Lowell civil litigation lawyer can provide efficient representation and explain to you all the steps of the legal process. In addition, an attorney can deal with the legal procedures and handle correspondences with opposing lawyers, judges, insurance adjusters, and other parties. By working with the Law Office of Bruce A. Gage, you can ensure that your interests are always heard and that you fully understand everything going on in your case. We provide the individual attention you expect from a small law office, combined with the level of service you expect from a big law firm. For assistance with civil litigation for business or personal legal matters, contact a Lowell civil litigation attorney at the Law Office of Bruce A. Gage. You can schedule a consultation to discuss your case by calling 978-961-0093.